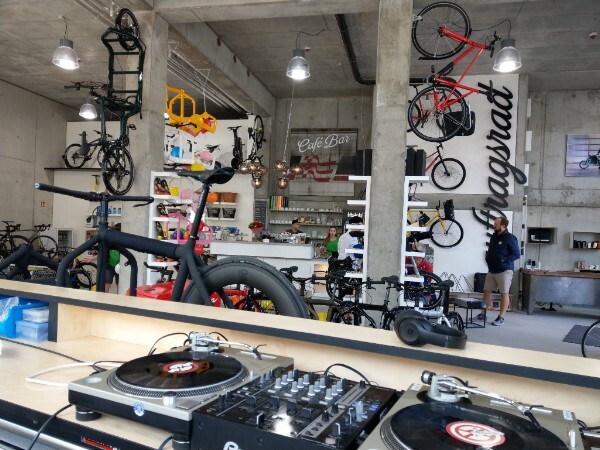 Last month two very special shops opened in Berlin, a town where the Bullitt has always thrived. 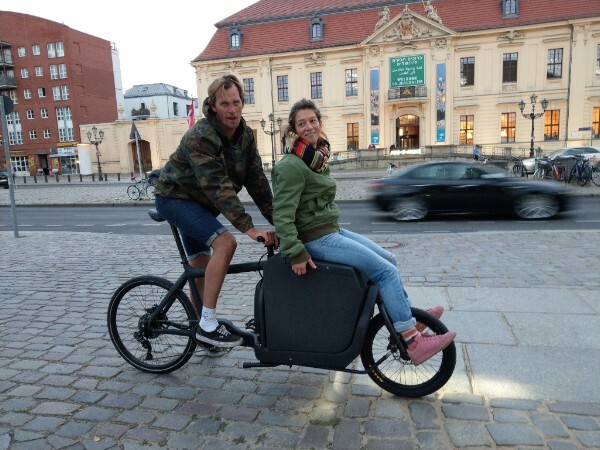 We love Berlin…for a city so close to Copenhagen, it is incredible how different they are. 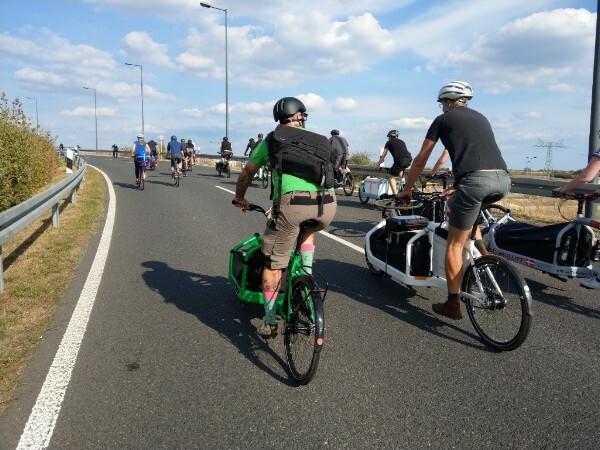 We are incredibly fortunate to have such a dedicated crew of dealers and an enthusiastic community of owners and riders who continue to push the cargo bikes application and engage with us in healthy dialogue. 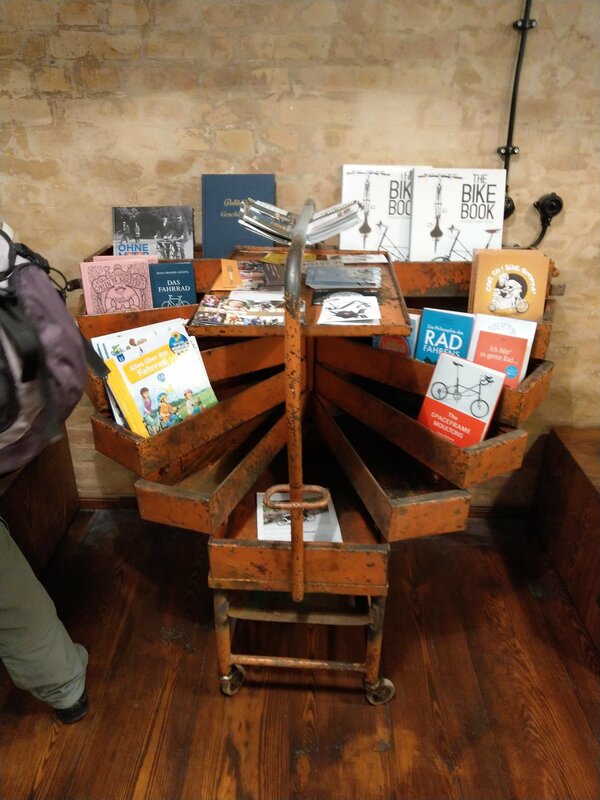 Two such dealers opened new retail spaces recently and we thought it might be worth doing a photo essay to show a wider audience what these guys are up to. We are massively impressed by what these guys have achieved and their hard work has paid dividends with the new shops looking absolutely amazing. Let’s go take a look shall we? All images taken by Julian Busch. Thanks so much for letting us use your pictures Julian. 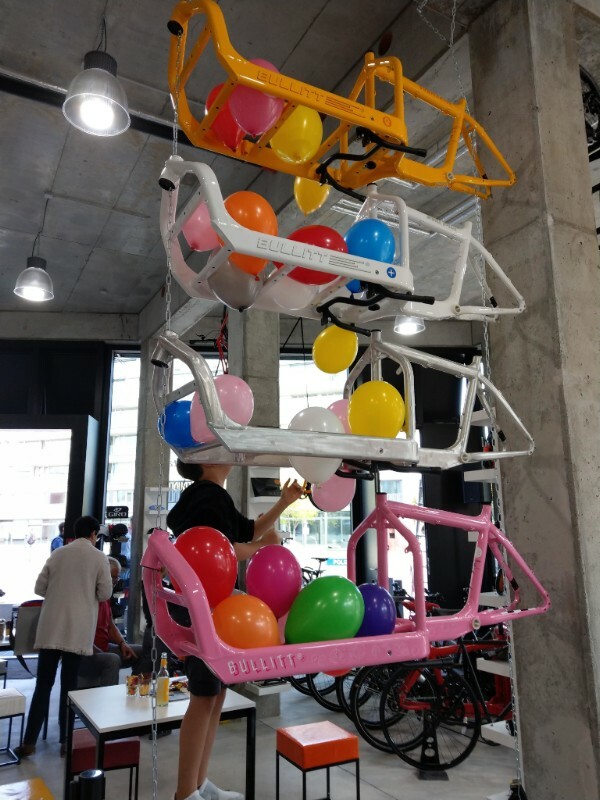 Bikes, music and coffee. The finer elements in life! The line up! Custom colours and builds galore. 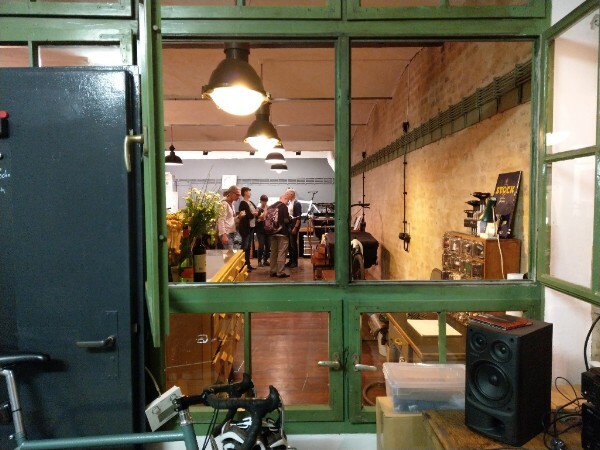 The newly opened Auftragsrad shop with PuntaVelo and Fahrer is a fantastic space. With servicing and coffee at the heart of the operation and a very industrial feel, the shop also has a pretty unique custom approach to the Bullitt with regards to colourways and ‘shorty chops’. 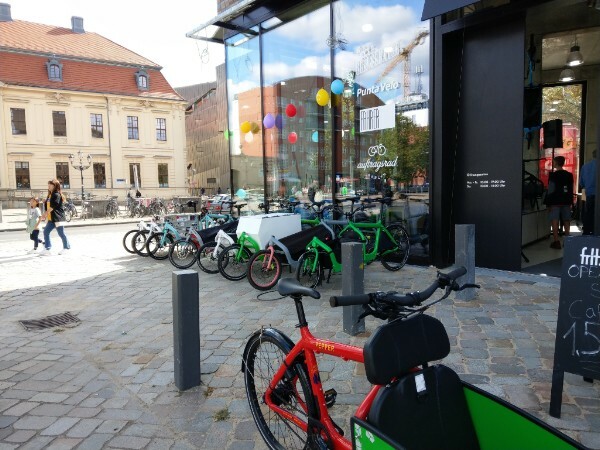 Located on Lindenstrasse, opposite the Jewish Museum, it has a massive array of Bullitt products. We have started embracing people custom modding their Bullitt’s. The ‘Shorty’ is one such evolution of the Bullitt frame. 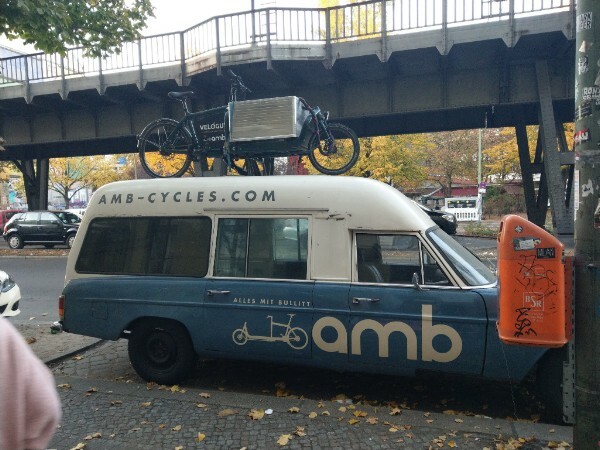 Over on the other side of Kreuzberg, Cora and her team at AMB/Velogut have also moved in to to a new space. Totally different aesthetically and incredibly original, it oozes with features and furniture. Cora is one of our oldest customers and an incredible women and the new showroom and workshop on Skalitzer Strasse is a real reflection of her character. Boxes in boxes and a nice white Milk Plus 6000 eBullitt. A window into the unknown…and Good Lord, what is that road bike disgrace I see before me!? Just a bike, just a car…nothing to see here, move along please. So there you go, our friends down in Berlin have some magical Bullitt dens. 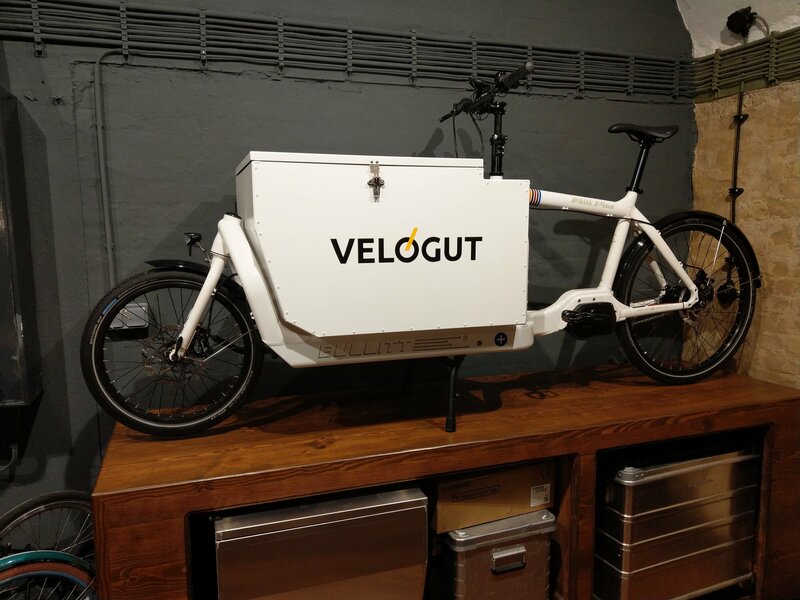 These new spaces are so seriously nice and showcase our beloved Bullitt so brilliantly, we are really proud to have such dedicated people representing us.